The Ibanez RG series is widely played by hard rock and metal musicians. Instruments in this very popular line of guitars range from inexpensive entry-level models to $2,000 Prestige models. The Ibanez RGT42DXFM falls somewhere in the middle of the product range, landing slightly below the $1,000 price point that we typically use as our cut-off for professional level instruments. However, this low-cost (by our standards) fighter has a lot of what it takes to step into the ring. Whether or not it’s a true contender will vary based on your needs. There are many guitars in the $700 to $1,500 range currently that give higher-priced rivals a serious run for the money, and the RGT42DXFM is an excellent case in point. For under $800 street, the RGT42DXFM delivers many of the goods a serious guitar player craves – neck thru-body construction, a sharp looking finish, a smooth and fast-playing neck, and comfort. 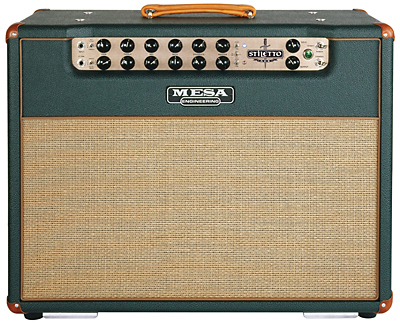 Where it falls short of higher-priced rivals is primarily in the tone department. The guitar makes some very good, solid, usable sounds that will appeal to many types of guitar players – especially hard rockers and metal heads. But unlike a more-costly guitar that ships with premium pickups, the somewhat average/typical IBZ pickups fall short on low-end definition and overall sonic character. 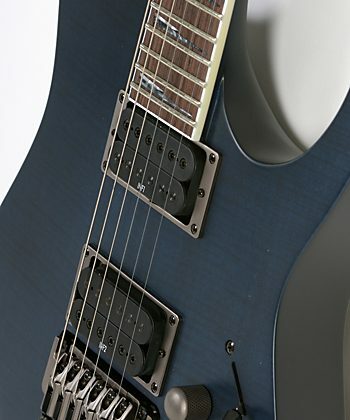 An additional cost-saving difference between this guitar and Ibanez’s Prestige models is that the pickups are not mounted directly into the body – they are mounted to metal rings surrounding the pickup cavity. This doesn’t specifically mean worse tone – only that it’s less costly to manufacture this way. That said, the only thing we could find fault with in this guitar were the pickups. The fact that this Ibanez wasn’t even built in Japan went unnoticed by our fingers, and left enough money in our wallet to resolve the pickup situation for ourselves (detailed in one of our tutorials on guitar upgrades here). Used as the building block from which to customize, this is a beautiful looking and playing guitar at a great price. Players on a tight budget who aren’t as picky as our tone-obsessed editors should find the stock tone perfectly usable for a wide range of musical styles. Our test RG featured a solid mahogany body with a beautiful dark blue and black flamed maple top. TLF in the product name refers to the color – Transparent Lavender Flat, and the guitar has a beautiful flat finish. The RGT42DXFM-BP is the same guitar in a black pearl finish. Surprising for a guitar in this price range, the RGT42DXFM [What a name! Can’t we just call it “the flaming blue RG”?] features neck thru-body construction. The sleek five-piece Wizard II neck is cut from walnut and features 24 jumbo frets and a rosewood fingerboard appointed with familiar shark tooth inlays. The Wizard II neck has a satin finish and standard locking nut. This neck’s dimensions are identical to the current JEM models (25.5” scale, 43mm at nut, 56mm at last fret) with the exception of the fretboard radius on the RGT42DX being slightly smaller – 400mm vs. 430mm. The bridge is Ibanez’s Edge Pro II tremolo, and we must say it’s got a nice set of balls. That would be on the strings, of course, which don’t require cutting the balls from the strings before locking down in the bridge (a nuisance required with many Floyd Rose-type tremolos). The current Edge Pro II allows for stringing either with or without balls, and both tension and height on the snap-in tremolo arm are adjustable. 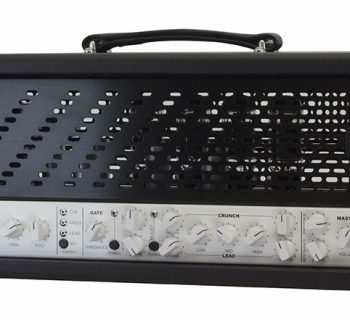 The RGT42DXFM has two ring-mounted Ibanez humbucking pickings with a five-way pickup selector, one volume knob, and one tone knob. The IBZ INF 1 neck pickup has a ceramic magnet designed for “warm, classic tone” while the bridge IBZ INF 2 pickup has an alnico-5 magnet and is supposed to provide “enhanced midrange output and excellent dynamics” according to Ibanez product literature. A coil-tap feature for the pickups would have been a nice addition to the otherwise strong feature set, as would direct-mounting of the pickups to the body, but that would place this guitar above the $1,000 street price point. We’ve played and owned numerous Ibanez guitars over the years, and the fit and finish of the RGT42DXFM is comparably excellent. We loved the flat finish on the body. Though not as protective against dings and scratches as a typical high-gloss coat, the finish gives this guitar a more distinctive look. Our RGT42DXFM shipped with D’Addario XL strings (.009s) and setup required no adjustment. Although Ibanez guitars are imported from Japan and other countries (this guitar was made in Korea), they go through a quality control, inspection and final setup at the Ibanez USA headquarters in Bensalem, PA before reaching dealers. Because of the mahogany body, the RGT42DXFM is heavier than you might expect. At 9.5 pounds, our guitar weighed more than your typical Strat, but less than a typical Les Paul. We found it to be well balanced, and it fit comfortably against our body both standing and while seated. The action on the strings was pretty standard – not as low as some players will likely set it, but comfortable for playing a variety of styles – and the feel of the satin-finished neck was nice and smooth. The flat fingerboard and thin neck make a great combination for everything from playing funky, jazzy chords to shredding across blistering solos, though we’re personally more adept at the former while aspiring to master the latter. Mahogany is a heavier and darker sounding wood than ash or basswood and thus the tone of the RGT42DXFM rings through more like a Les Paul than a Strat (Les Pauls are frequently cut from mahogany). 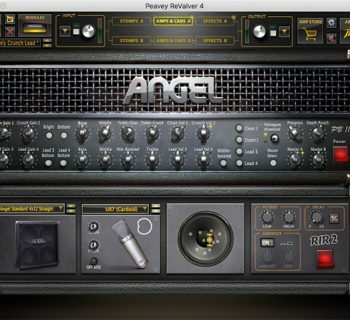 We played the RGT42DXFM through two rigs – a Mesa/Boogie Road King Series 2 head into a Mesa/Boogie Rectifier Traditional 4x12 closed-back cabinet, and a Marshall DSL201 running through a Marshall 1936a 2x12 closed-back cabinet. Clean and quiet were the first things that we noticed about the sound of the RGT42DXFM – at least on our clean channels. The INF 1 and INF 2 humbucking pickups were quiet and provided a wide range of clean sounds from acoustic-ish cleans in the 2nd position (using the inside poles of both humbuckers together) to decent blues tones in the INF 1 neck position. The blues tones weren’t as creamy as we get from more costly guitars – just good “average” neck sounds. Through our Marshall rig, the neck INF 1 pickup sounded a bit thin and could have used more low-end presence. Through our Mesa/Boogie rig, the presence was better, but still lacked the richness and roundness of tone we seek in our neck pickups. Kicking into our high-gain sounds, the mahogany-bodied RG and INF 2 bridge position pickup delivered basic Les Paul-esque tone. The pickup was quiet (from a noise perspective), and very lively. 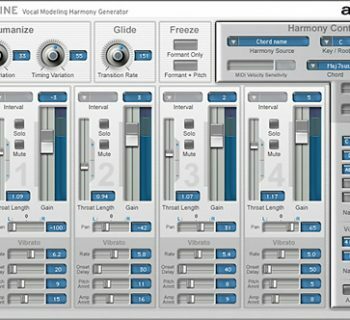 The INF 2 has a slight mid-range scoop to its output, but not enough that it required adjusting our EQ settings to compensate. Tone was rich overall, and sustain was excellent for a double-locking tremolo-equipped guitar. Playing with this pickup revealed a shortcoming common to “average” humbucking pickups, though – lack of clarity in the low end. This was more noticeable through our Mesa/Boogie Road King than through the Marshall DSL-201, which uses smaller EL-84 power tubes instead of the Boogie’s 6L6 and EL-34 power tubes. With high-gain rectifier sounds, it wasn’t easy to clearly articulate low notes while playing bar chords or power chords (in standard tuning), and chords played with open voicings lacked the clarity we associate with higher-quality pickups. While this won’t be a problem noticed by punk rock aficionados and extreme metal shredders, the prog rockers among you may be disappointed in this lack of clarity. Documentation with our RGT42DXFM was basic but useful. It illustrated and explained how to make adjustments to the tremolo, neck, and pickups, and also included illustrations of the pickup selection. Ibanez supplies one general document for most of its guitars, so when reviewing the document, be sure that you’re reading information for the correct hardware. The Ibanez web site does not provide all of the specs identified in this review – we found additional information in the Ibanez print catalog that should be added to their web-based product specs (like neck characteristics/measurements, for example). The Ibanez RGT42DXFM-TLF (MSRP $1,039.99) sells for under $800 making it an excellent value for a neck-thru guitar with this build quality. The very nice molded case (MSRP $139.99) sells for $90. Guitarists will gladly debate for hours on end the topic of manufacturing and whether or not guitars made in one country sound or play better than other guitars from the same manufacturer built elsewhere. In the case of Ibanez, a Japanese guitar company, many instruments are manufactured in Japan while others are built in Korea. Years ago, all Prestige series guitars came from Japan but, these days, a top-tier instrument from Ibanez is just as likely to be built in Korea thanks to advances in manufacturing technology. Ibanez’s designers spec new instruments, and they are built with the selected woods and hardware regardless of which country is used for manufacturing (so you can’t generalize that inferior wood is used in a Korean model, for example). Currently, most of the signature series guitars are built in Japan with only a few exceptions at the lower end of the signature lines. RG Prestige and RGA Prestige models are a few of the other lines that are still built in Japan exclusively, but we wouldn’t be surprised if this changes over the next few years. As our testing found, your fingers won’t be able to discern the origin of manufacture for a new model Ibanez guitar. We used this RGT guitar as the basis for a tutorial on customizing and upgrading stock guitars published in September. A few new pickups and other minor tweaks can eliminate our only gripe with this guitar and perhaps make us like it even more. Check out the tutorial to find out how our upgrades sounded.